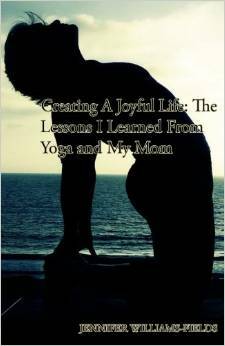 Tonight I read Murees Dupe's blog about writer's guilt. 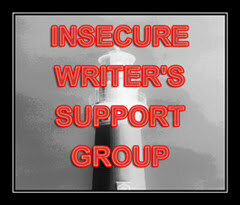 She linked back to a blog hop writer's group called the Insecure Writer's Support Group - what a fabulous idea! So tonight's post is number one of my participation in the IWSG. Yes, I realize I'm a day late. But, as an insecure and sometimes lazy writer, I just saw the post tonight. Why am I feeling insecure as a writer right now? Because everyone is being too nice to me and telling me how much they are enjoying my book and recent articles. Stop being so nice to me everyone! It's too much pressure! I recently had two of my articles picked up by Yahoo, one even made the Yahoo home page. Pretty cool right? But what if it never happens again? What if the best writing I'll ever do has already been done? What if I'm a one-hit wonder? I've been in a writing lull for a couple weeks now. I'm the type of writer that writes when I'm inspired. But the past couple weeks I've just been hanging out with the kids before they go back to school. Netflix marathons and eating junk food haven't left me very inspired. So we can add "not a very disciplined writer" to the list of reasons I'm feeling insecure tonight. I'm sure there are other reasons I'm feeling insecure tonight. But I'm on season three of The Newsroom on Netflix and there's some Haagen-Dazs in the freezer waiting for me. You are honest, real and a ray of hope. It hits home among women. Love your writing. You have some beautiful things happening in your life! Ride the coaster baby!! Welcome to the IWSG! You are in the right place. I felt that same pressure when working on my second book, especially when my first one shot to the top of the Amazon charts. What if I was a one-hit wonder? I kept writing anyway and guess what - I wasn't. So you won't be one either!